Recently, Architect magazine put out a call for letters from readers to recount their ‘goose-bump’ moments – experiences that thrilled us to the core. (lately it might be as simple as keeping your job or getting a new project to work on!) 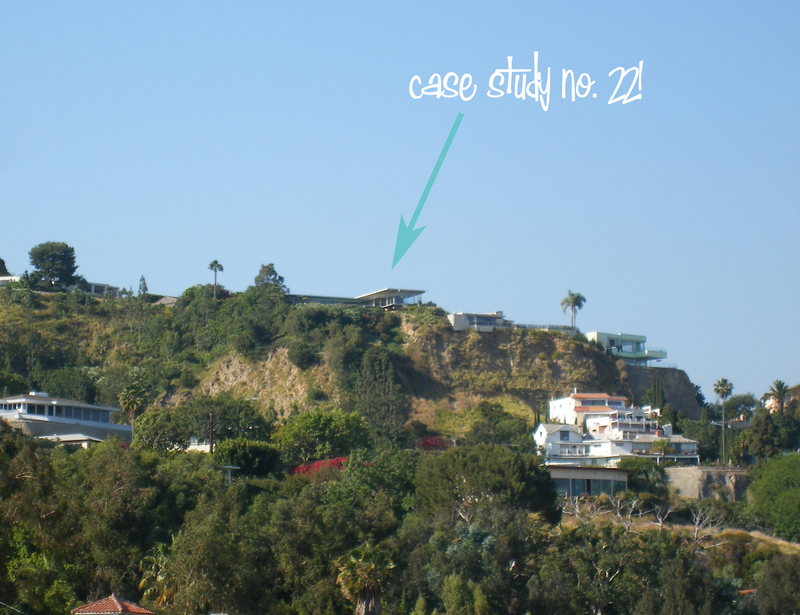 I wrote of my chance visit to Case Study #22 in 2000 when I was in LA stalking architectural celebrities. 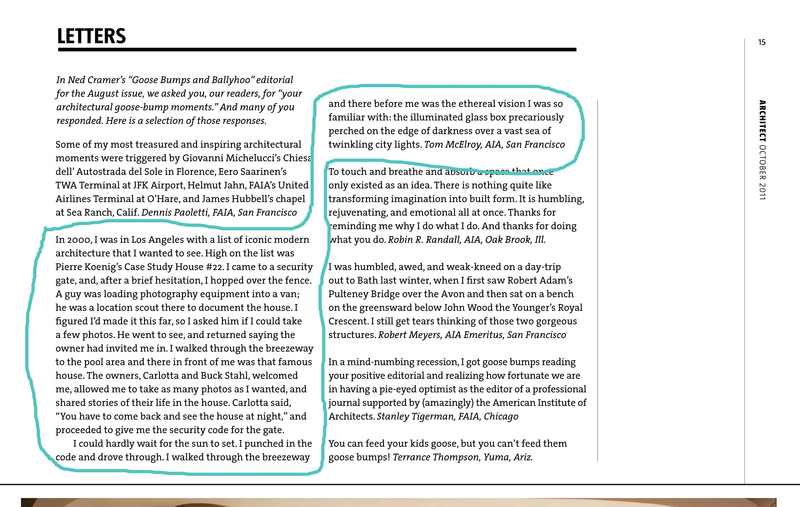 They ran my letter – see the image below from the October issue: The world-famous Case Study #22 house designed by architect Pierre Koenig – and even more famously photographed by Julius Shulman – sits on an edge high in the Hollywood Hills. 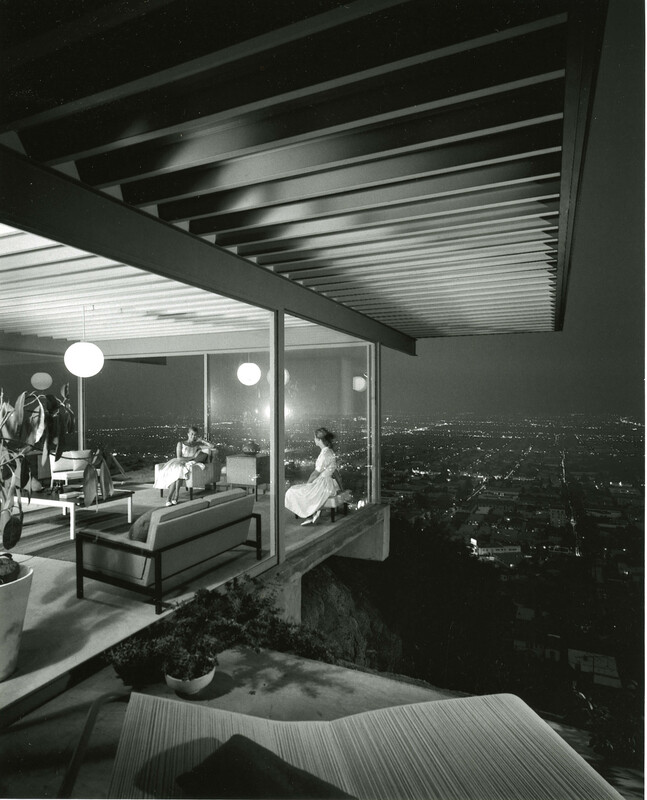 It was built as part of Arts & Architecture magazine’s post-war program which invited select architects in 1945 to design homes “capable of duplication” for the average American. I wouldn’t mind a duplicate! I still recall seeing Shulman’s photograph when I was in college – the image stayed with me, haunted and taunted me. It was a photo of a house, but nothing I’d seen the likes of in my upstate NY life. Barely-there, the house is made up of glass panels and steel posts. The winning gesture is its projection out over the hillside, the drop-off unknown to the viewer. 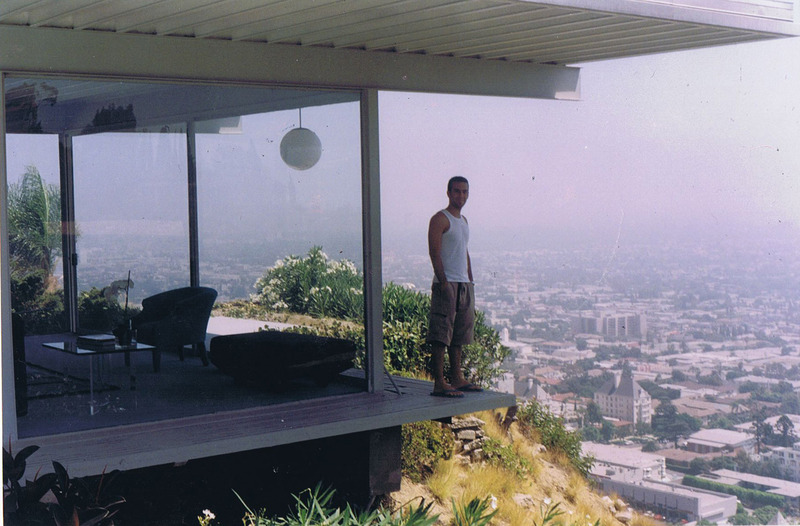 Here’s Shulman’s photograph: Below is a photo I took in 2006 from Sunset Blvd, looking up at the house from below. It seems so tiny and delicate from this angle. I know where to spot it from and always look up when I’m driving in the area. Here’s a photo of me in 2000, having hopped the security gate and walked up to announce myself to the wonderful owners as you read above. It really was like meeting a celebrity: and going back to see it at night was the cherry on the holysh*t cake of getting there in the first place. Not much had changed except that the owners had a catwalk built for easy window maintenance, which I’m standing on. This somewhat muddies the form but it could be taken off in the future. A moment I’ll never forget! I believe there are occasional tours for the public so I may visit again someday.